The traditional approach to an Accord installation is ‘on premise’ where Accord is installed and operated from a server located on your own premises. Now, the Accord SaaS package utilises SaaS and Cloud computing to offer an alternative approach which removes the need for Accord specific hardware on site. 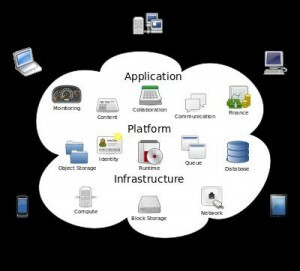 Cloud computing is a general term for anything that involves delivering hosted services over the Internet. The name simply comes from the cloud-shaped diagrams used to explain the Internet as a ‘cloud’ of Web servers. Software as a Service is one of many services that can be delivered via the cloud. With SaaS the service provider/vendor hosts the software application, such as Accord, and all data on a server. Users access it via a web browser, typically using a thin client PC. How does it differ from traditional hosting? In three key ways: The SaaS/Cloud option is sold on demand, usually by the minute or the hour; it’s elastic – a user can have as much or as little of a service as they want at any given time; it’s fully managed by the provider – the user needs nothing but Internet access and existing office PCs. It’s scalable – easy to add or remove users – and it provides easy to access real time data. It also gives users the flexibility of having the system available on demand from wherever they happen to be. The Accord SaaS package includes all software licences, the use of multi-tenanted resilient servers (hosted by one of the market leaders), technical support and technology updates. Focus on your core business, leave IT management to the experts. BCP has the unique skills that have been developed over many years creating, maintaining and supporting organisations by offering training and full back up of your system.